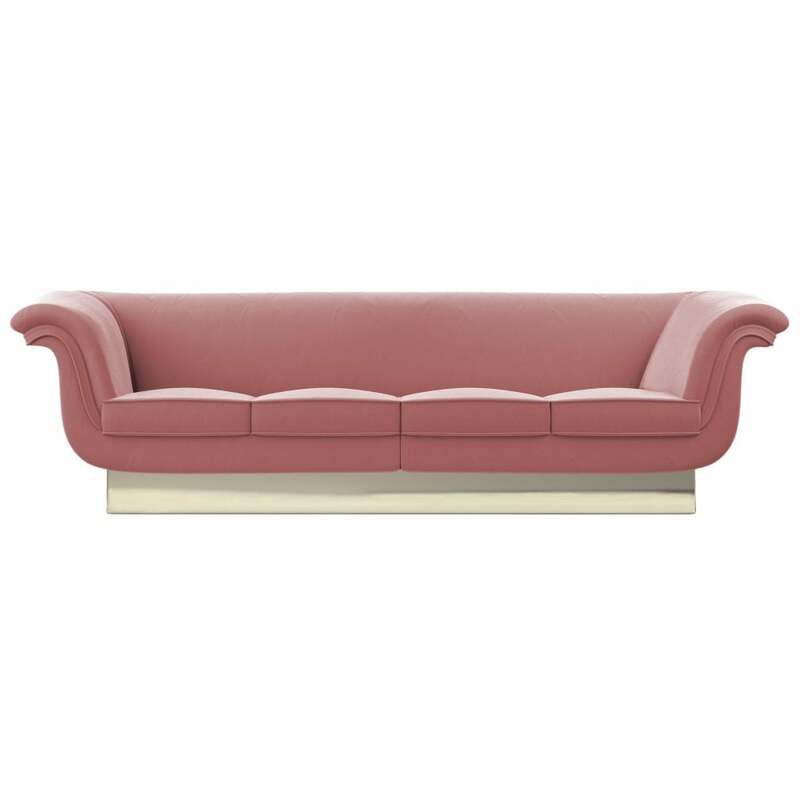 The Vivien Sofa by Ottiu is inspired by 1930’s starlet Vivien Leigh. Known for her iconic role as Scarlett O’Hara in ‘Gone with the Wind’, Vivien Leigh was a beautiful actress who epitomised Hollywood glamour. Part of the Century Collection by Ottiu, this stylish sofa has a mid-century modern design with a rectangular base crafted entirely from polished brass. Featuring a deep seat and flared armrests, the Vivien Sofa is built with comfort in mind. Upholstered in the finest cotton velvet, Vivien is a must have for any design lover. Available in a range of colour and fabric finishes. We love the elegant, pastel pink velvet paired with the brass base. Get in touch with our team to discuss your interior design requirements.